Yes, it’s hard to believe that Columbus and crew mistook the Manatee for a mermaid, but, well, it was a very long voyage…. 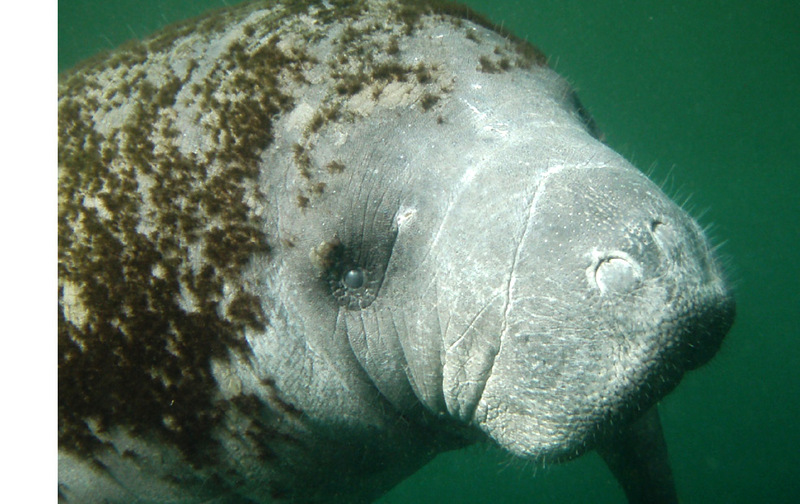 Manatees are beautiful creatures in their own right, of course. One of the joys of living in Florida is discovering that beyond the theme parks and condos is a very rich world of wildlife. Eagles, alligators, manatees and countless dolphins are among my normal paddling companions. Although I greatly enjoyed my time in Europe last year, I saw more marine wildlife in several days in Mosquito lagoon (a large estuary East of Orlando), than in all my months overseas. After the Sweetwater Symposium in February, I kayaked the outflow of Weeki Watchee springs with Russell Farrow, Nigel and Kristin Foster and some other good friends. The warm water is home to a number of manatees in the winter months. 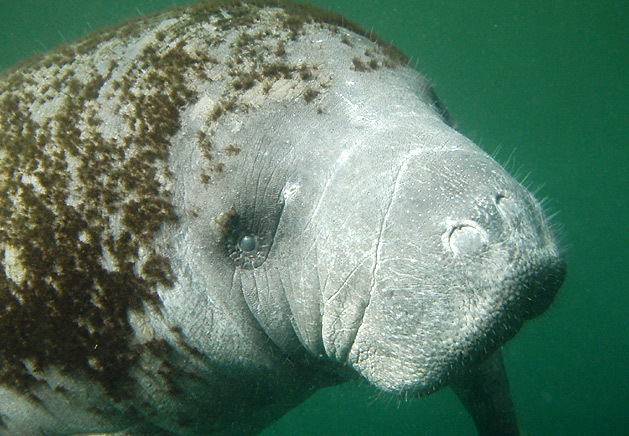 Donning a mask and capsizing in my kayak, the young, “sad-eyed” manatee shown in the image above eagerly approached me to investigate (yet another great reason to learn to roll — to explore the depths below with a dive mask). Perhaps, capsized in my kayak, I looked like kin. Its mother visited too, but wasn’t as interested in this strange half-man/half kayak. Up close a manatee looks much like an elephant (one of their closest relatives) with their stiff hair and thick skin. Manatees are vegetarians. They are friendly and inquisitive and can move quite fast when they want to.